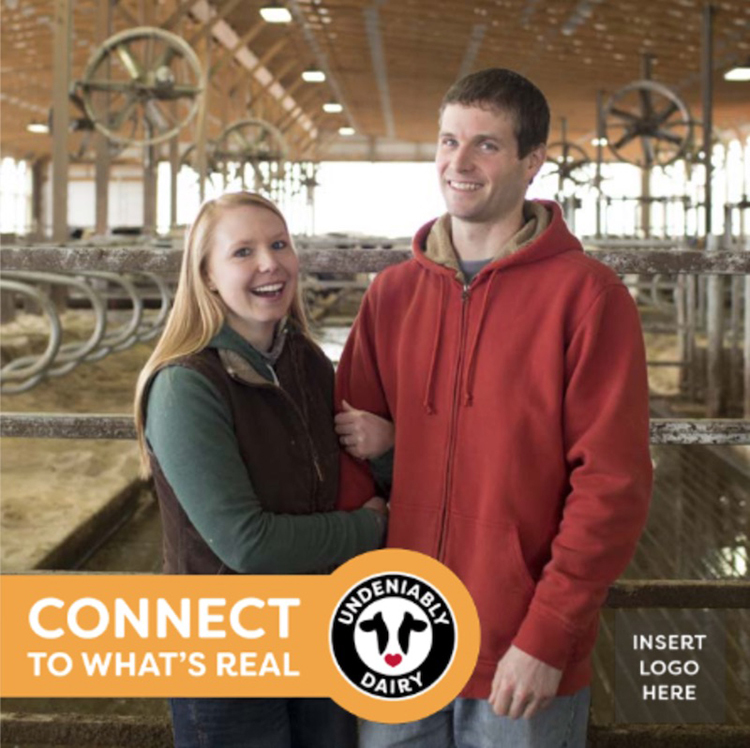 Take time on October 12 to share your dairy story and connect with consumers in multiple ways. National Farmer’s Day is October 12, and it’s a chance for us in agriculture to connect with our dairy-loving consumers and showcase real life on the farm through our social media channels. Yes, many people might be thanking you via #thankafarmer for your time and effort to supply them with a safe and affordable food supply that most of the rest of the world doesn't experience. And you definitely deserve praise for a job well done. We are hoping that when you see a “thank you” from a consumer that you reply with a simple “you’re welcome.” Be sure to ask them if they have any questions about your farm, your animals, or your land. We also are hoping you post photos and videos of yourself on the farm showcasing your real life. In fact, we’ve created a few images, GIFs, and a graphic “Connect To What’s Real” that you can use on your photos. You can get the National Farmer’s Day graphics here or download them from the Dairy Hub. When you are posting, use the hashtags #NationalFarmersDay and #UndeniablyDairy so we can see what’s going on in your conversations. Please encourage your ag friends to do the same. We want dairy to be seen and heard all the time, especially on this day. There’s also a Facebook frame you can download at www.facebook.com/profilepicframes beginning October 12. Once you are on the page, search for National Farmer’s Day. If you are a Snapchat user, you might even have National Farmers Day Snapchat filters available near you. Your dairy checkoff will be busy on October 12 as well. We’re bringing several dairy farmers to New York City to participate in a dairy experience at two major food festivals — Grand Central Food Fest (October 12) and NYC Times Square Expo (October 13). We’ll serve grilled cheese sandwiches and have chocolate milk samples from a decked-out food truck. Dairy farmers will engage the crowd through a series of fun, dairy-themed activities that are Instagram-worthy! On October 12, the rest of the world will take some time out of their day to thank you for being what you've always wanted to be — a dairy farmer. We’re hoping you take time from your busy food-producing day to acknowledge their thanks, connect with them, and answer their questions. They trust you and they want to know you. Every day is a great day to be a farmer, but even more so on October 12. Thanks for everything you do to provide consumers with safe, delicious dairy that is “undeniably” good. If you have any questions or need more assets to share, please contact me at don.schindler@dairy.org.